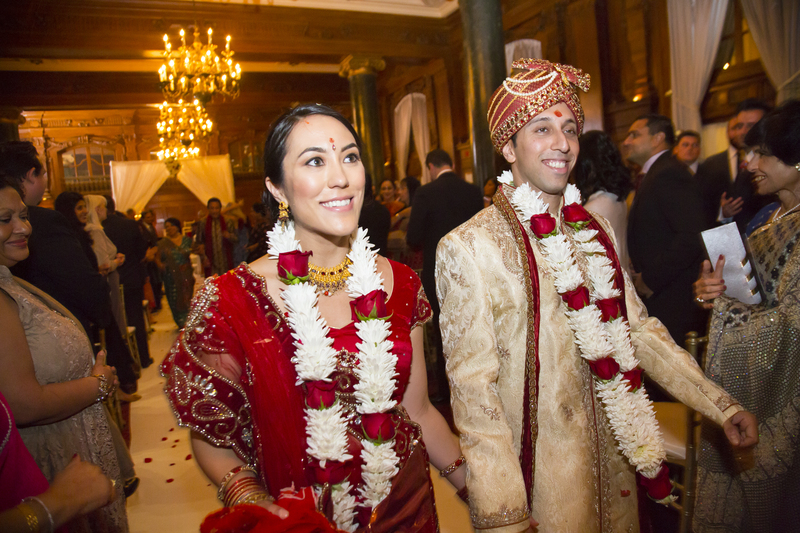 Wedding and Reception: The Willard Intercontinental, Washington D.C.
Our wedding was a fusion of Indian culture and my Korean/American heritage. What I like about Indian weddings is that somehow the families have a way of making you feel like they’ve known you for a long time. It’s very warm, inclusive and fun! 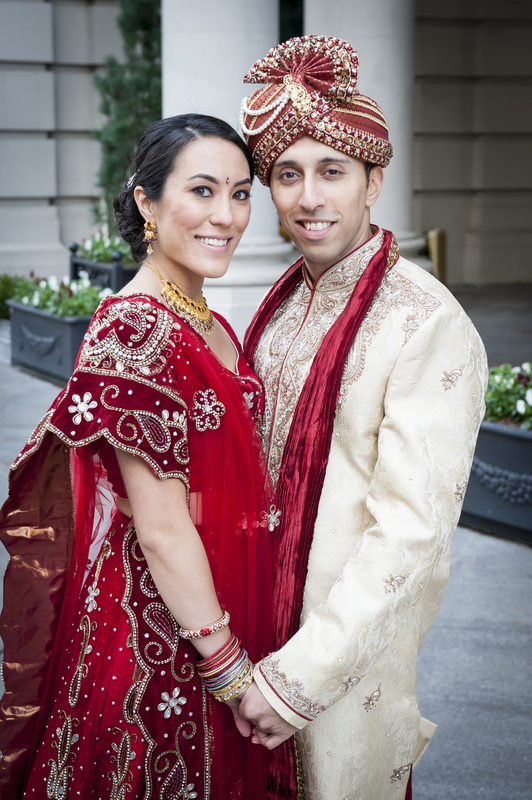 Our Sangeet was two weeks prior to the wedding day. 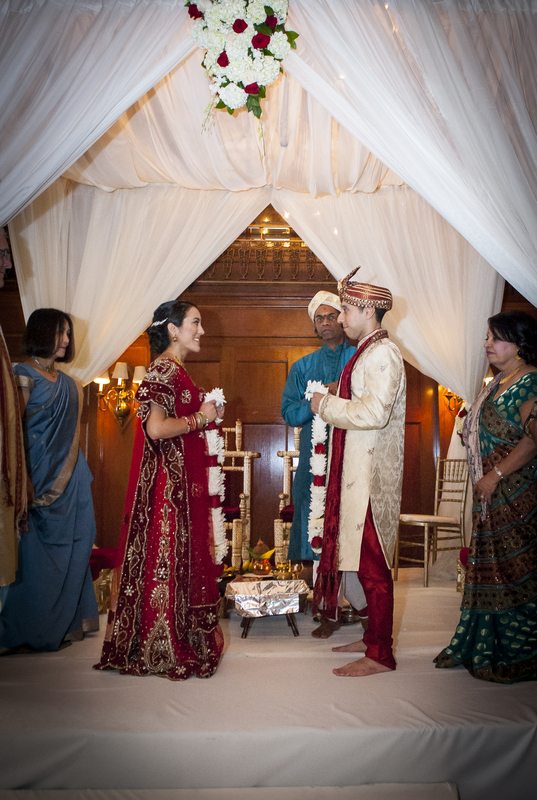 It was thrown by Milin’s family, and held near his parents’ home in Delaware—it was a great introduction to the forthcoming wedding festivities! It was mostly Milin’s family and friends in attendance, as it was far for my family to travel so close to the wedding date. However, my sister (Maid of Honor) and two of my bridesmaids were able to make it, which I was so excited about. Milin’s cousin choreographed several dances, and his dad, brother and uncle all sang—they’re a talented bunch! 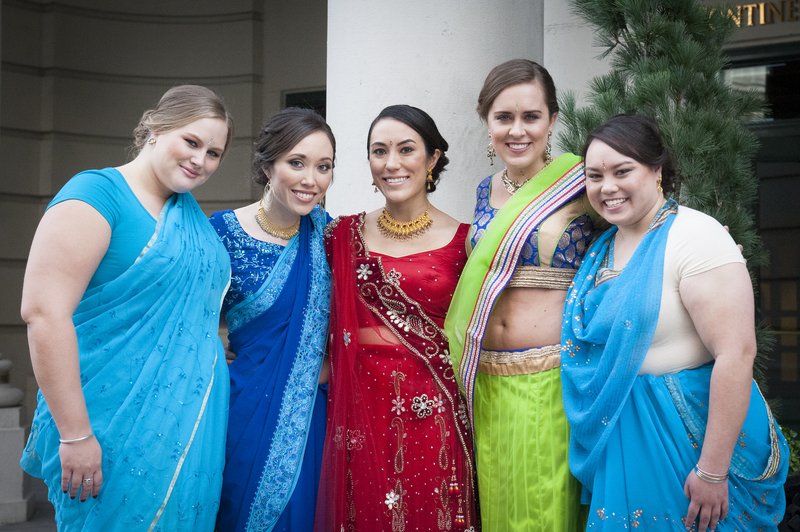 We ate delicious Indian food, danced garba, and sang all night. 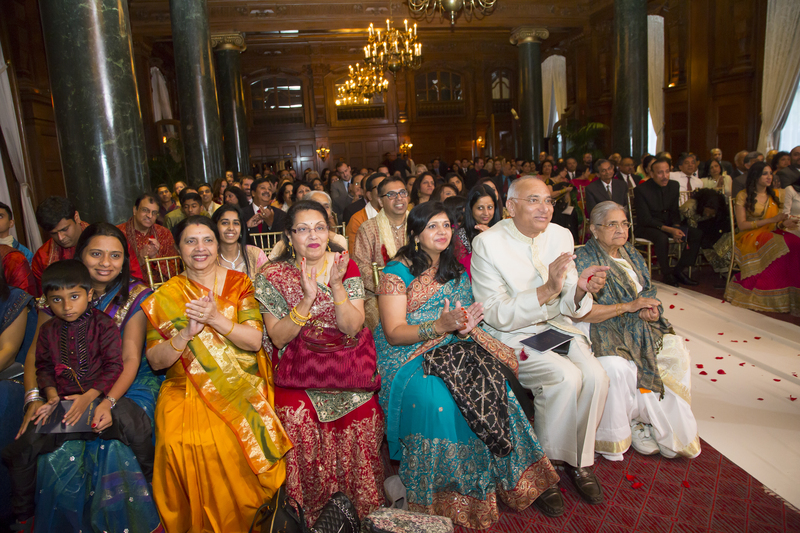 I had never been to a sangeet, so it was new for me too. It was wonderful to see everyone get acquainted, and have so much fun together. 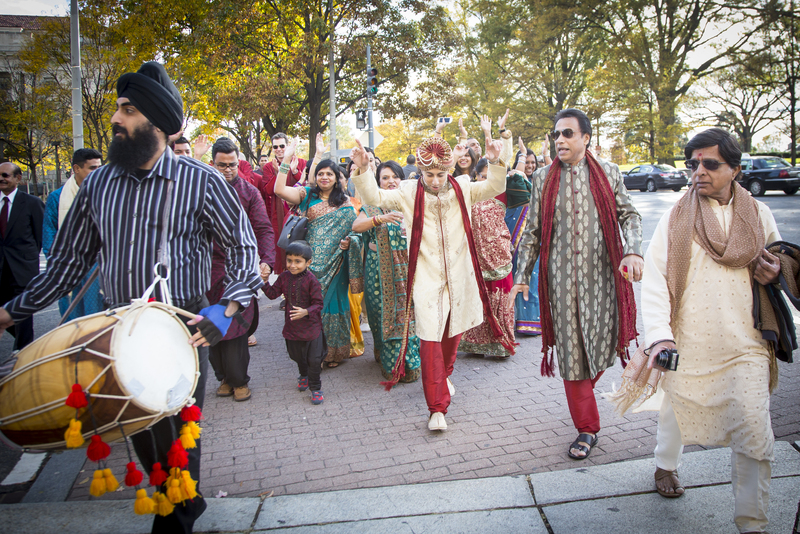 Our wedding festivities began with Milin’s baraat along Pennsylvania Avenue. 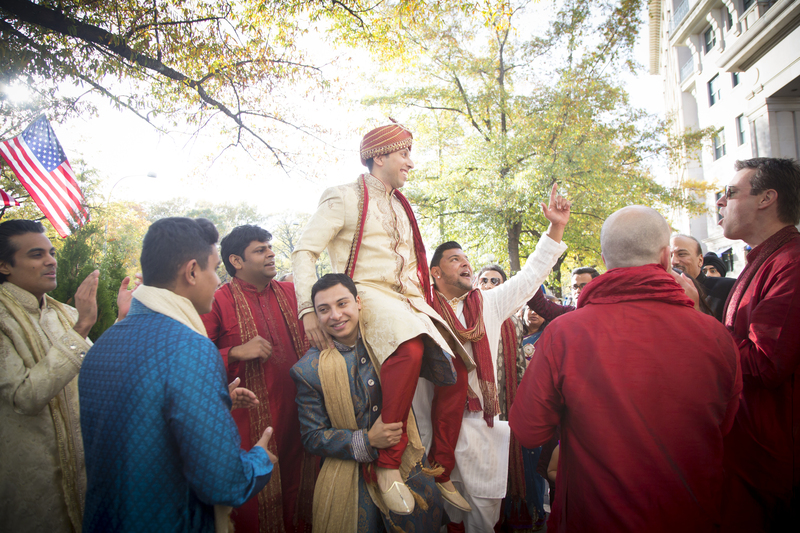 He opted for a dhol player, as opposed to the more traditional horse or elephant, but the sheer number of family and friends created a ton of excitement! 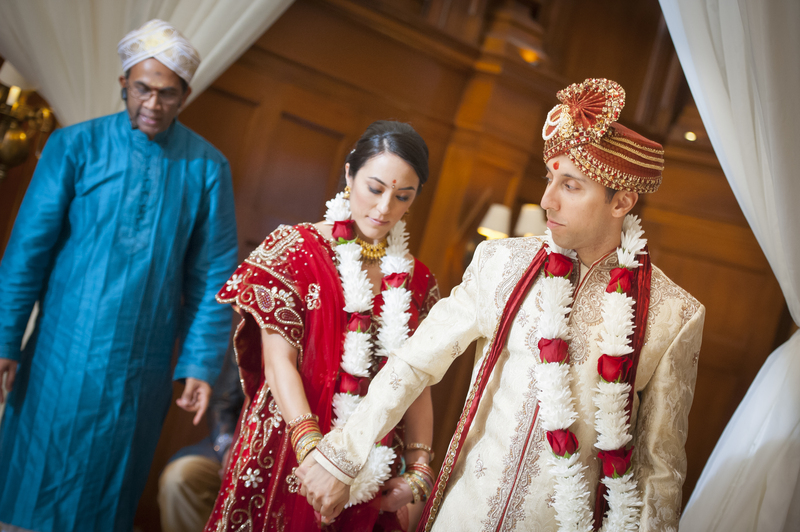 This led right into the traditional Indian ceremony, followed by the Christian ceremony, cocktail hour, and reception. 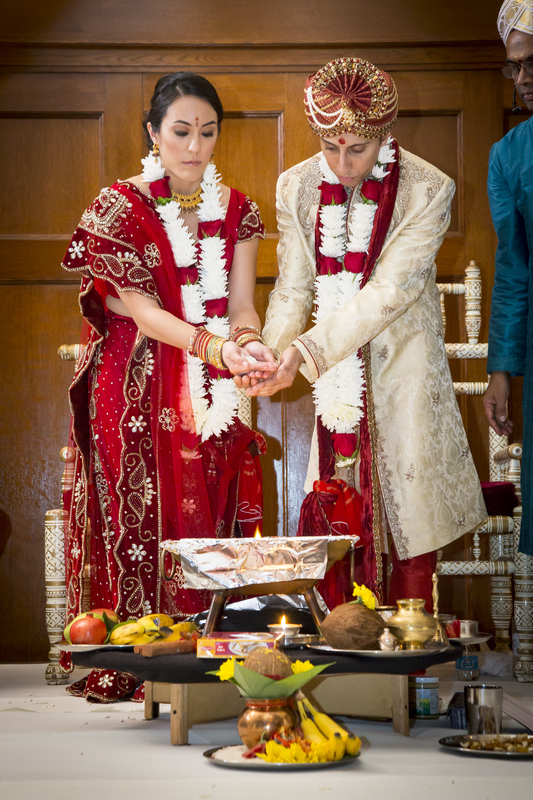 We did everything in one day, which enabled us to pay tribute to both cultures separately, as opposed to merging them into one ceremony –it worked for us! Where were your wedding and reception held? 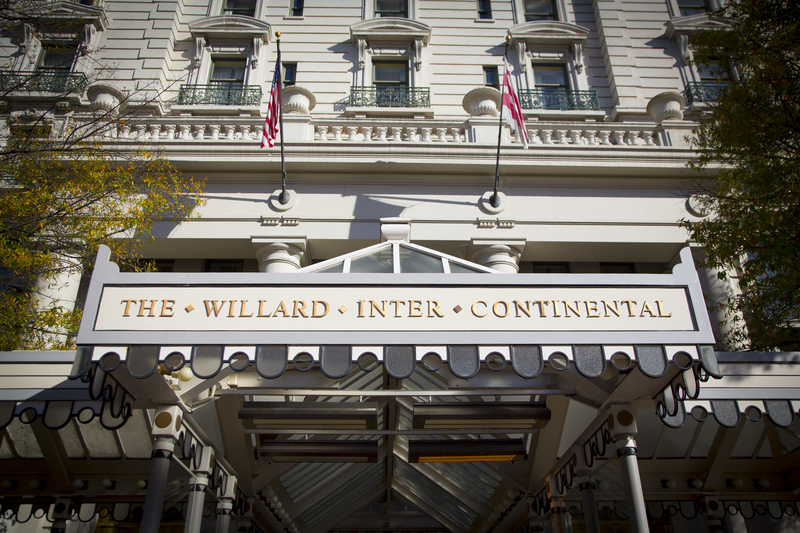 The Willard InterContinental Hotel, which is about 2 blocks from the White House. 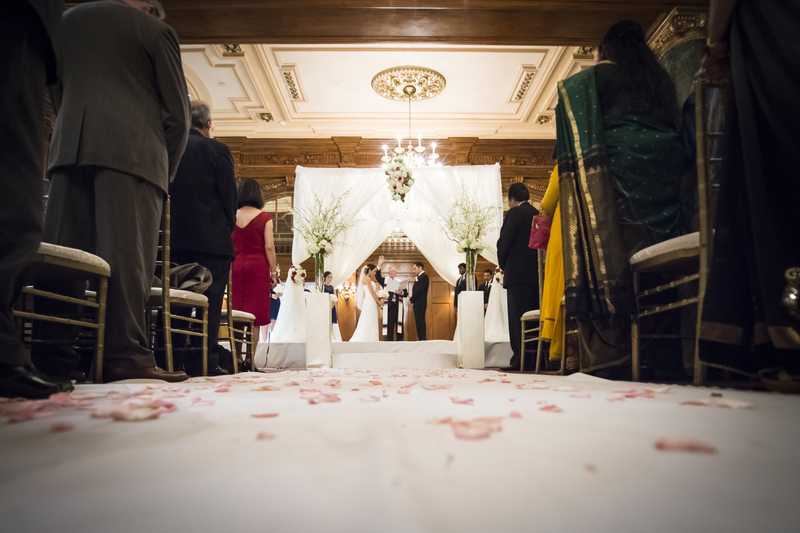 They do a lot of Indian and fusion weddings, so there are things in place such as the designated baraat path, and the fire permit that allows an indoor flame. 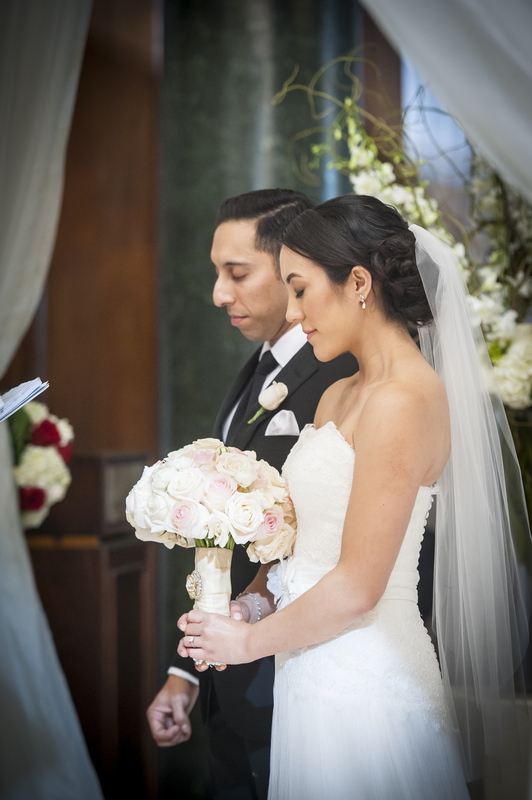 We used the Willard Room for both ceremonies, which is such a beautiful, elegant space—lots of dark wood, marble pillars, large windows on one side. 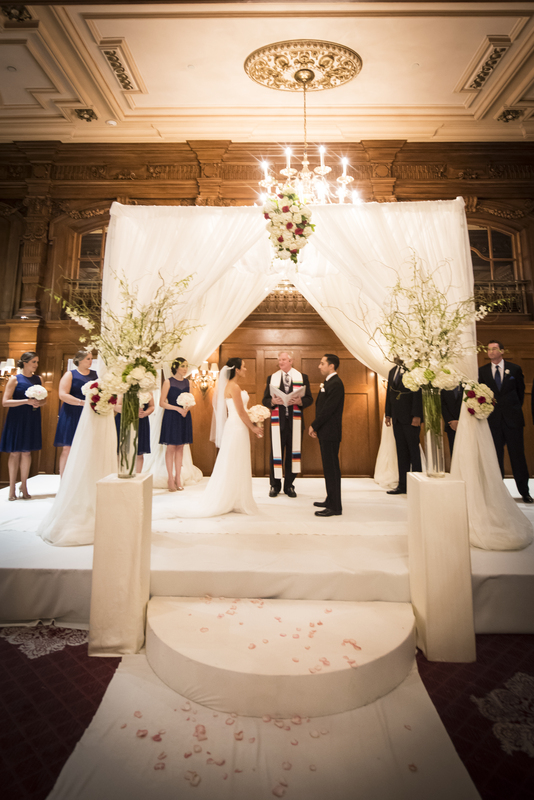 It was classic without being ostentatious, and we knew it would be the perfect setting for both ceremonies. 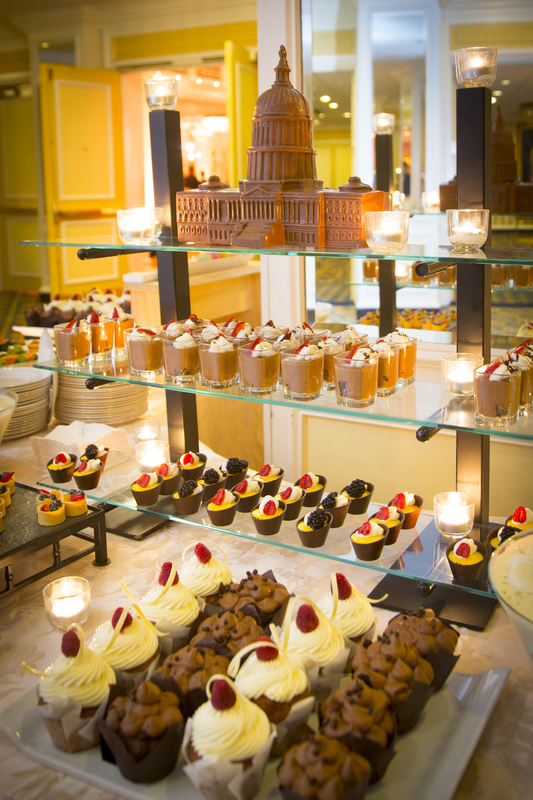 Another unique aspect of the wedding was the food. 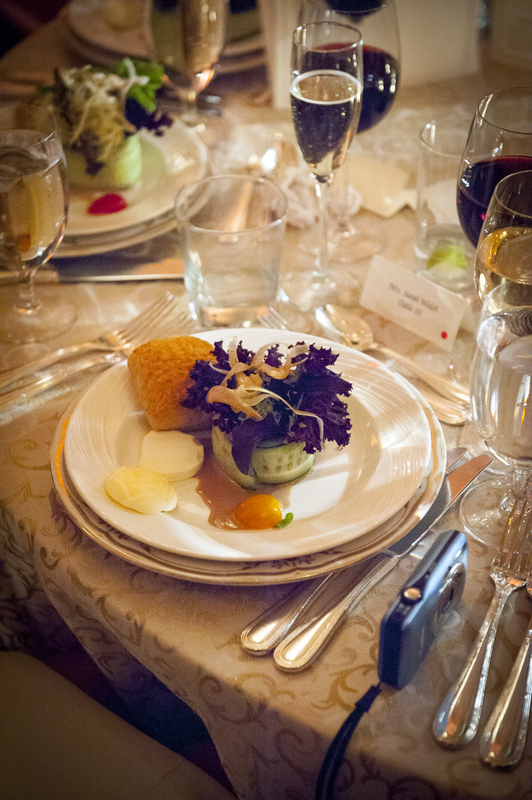 In order to incorporate both Indian and Western selections, we opted for a plated dinner instead of a buffet. 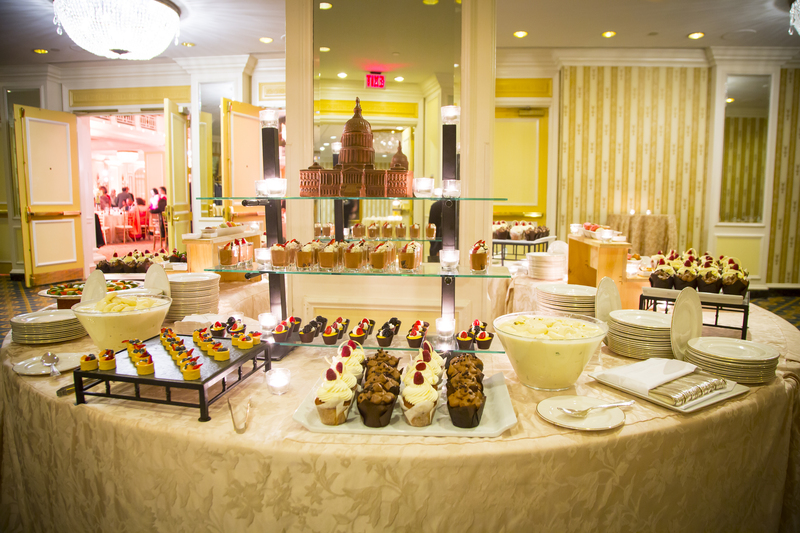 The Willard catered everything, including the family-style Indian food. We had chicken makhani, saag paneer, bhindi masala, and tadka daal among other things —it was phenomenal. Milin’s parents say that their friends still talk about how great the Indian food was, particularly having not been catered from an outside restaurant. All of the food from that evening exceeded our expectations, and we couldn’t have been happier! Did you consider other venues? My husband and I were initially opposed to a hotel wedding because we wanted something a bit more unique. I loved the idea of a DC museum, but the majority capped the guest count at 150-200 and we knew that we’d exceed that. It became clear that we needed to explore a few hotels to accommodate the size and make it easy for out of town guests to stay. 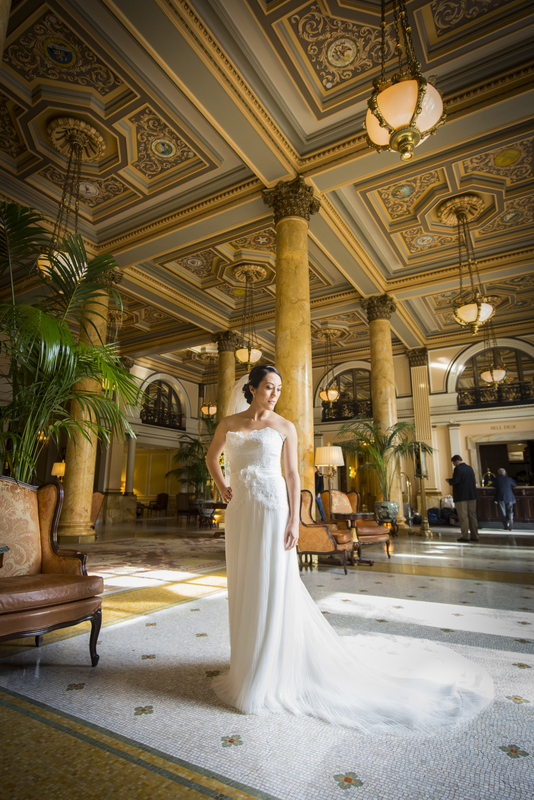 Having worked a bit with the Willard in my previous job, I was familiar with their event spaces and first-class level of service, and of course the incredible history of the hotel. That’s what prompted us to reach out, and eventually select it as our venue! 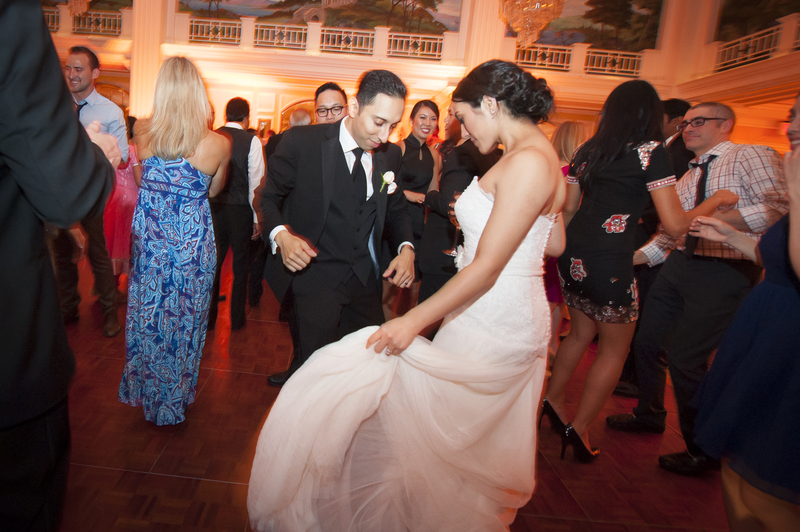 After doing a walk-through of the Willard Room and Grand Ballroom, we both just fell in love with it and easily envisioned celebrating with our family and friends there. How much of a break was there in-between the 2 ceremonies? Milin and I, the bridal party, and our families only had 1 hour to change outfits and get things sorted for the Christian ceremony—it was hectic to say the least! I collaborated with my hair and makeup artists to come up with a singular look that would work for both ceremonies; we simply swapped out the lip color for each, and I loved the subtle change! 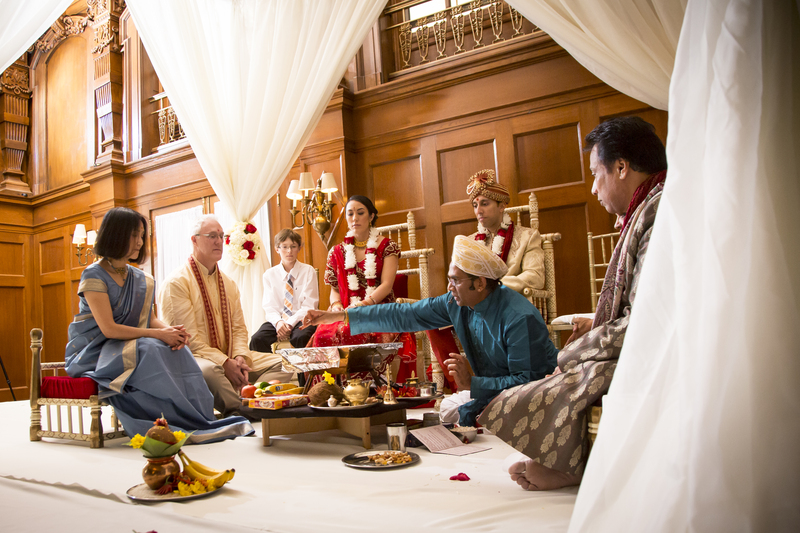 During the break, the Willard set out tea and Indian sweets for our guests. How did that turnaround time work for your decorator? There was one snafu, which was that the mandap should’ve been taken down during the break. 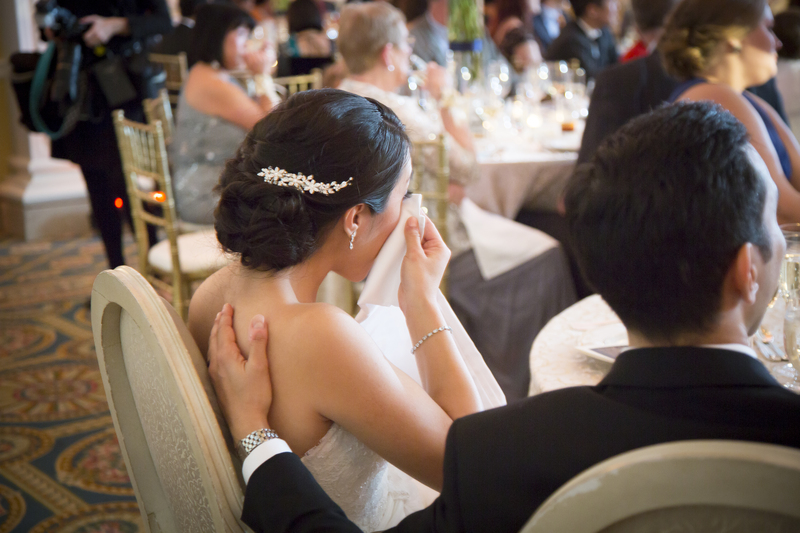 I noticed it while walking down the aisle, at which point it was too late! I’m not sure if it was a timing issue or a miscommunication. 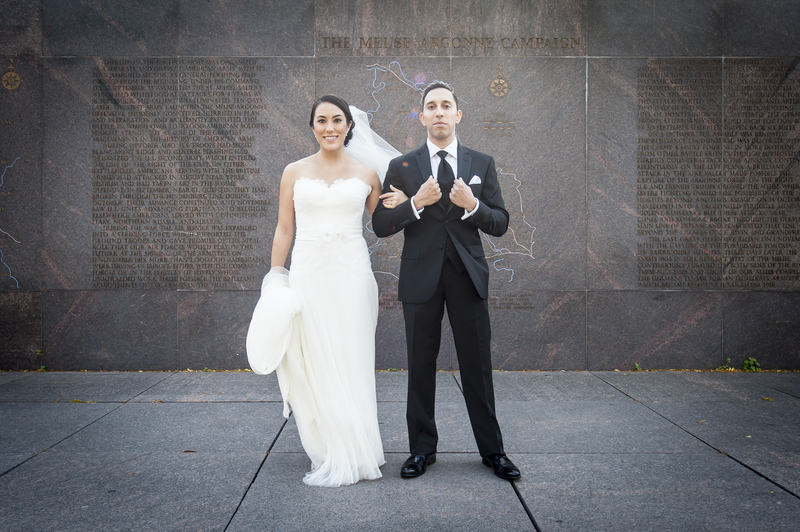 Regardless, it ended up being a nice background; though it did cut some of the bridal party out of certain photos. Just me! 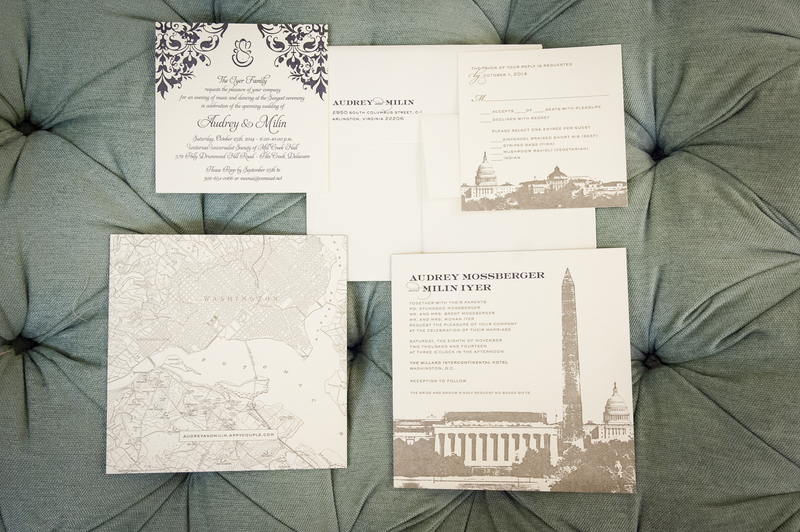 I’m an Events Manager at a non-profit in DC, so I decided to take on the bulk of wedding planning. It was a huge job and definitely taxing at times, but also fun to utilize my skills in a non-work setting. 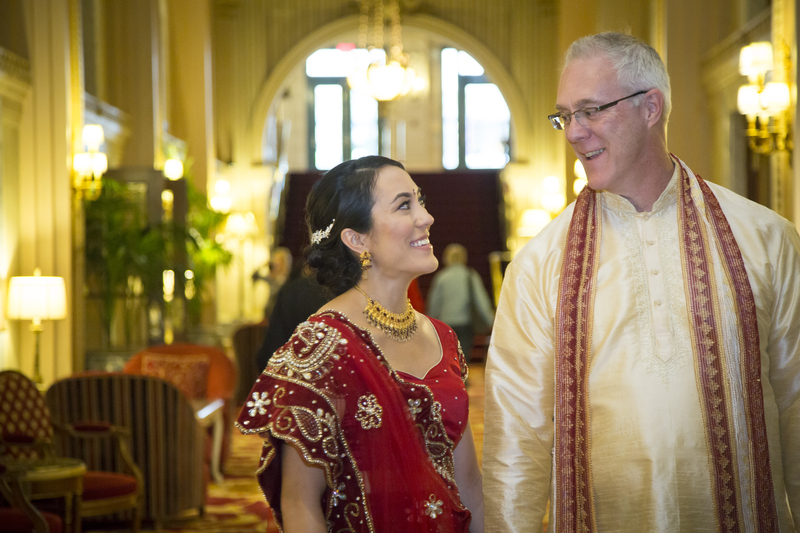 Milin’s family was extremely helpful in coordinating the Indian wedding portion, which was great since it was uncharted territory for me. Despite the stress, it was amazing to see everything come to fruition on the day-of. Where did you get your clothes for the wedding? Milin’s parents went to India about 6 months prior to the wedding and brought back wedding clothes for me, Milin, my mother, father, stepmom, and bridal party. 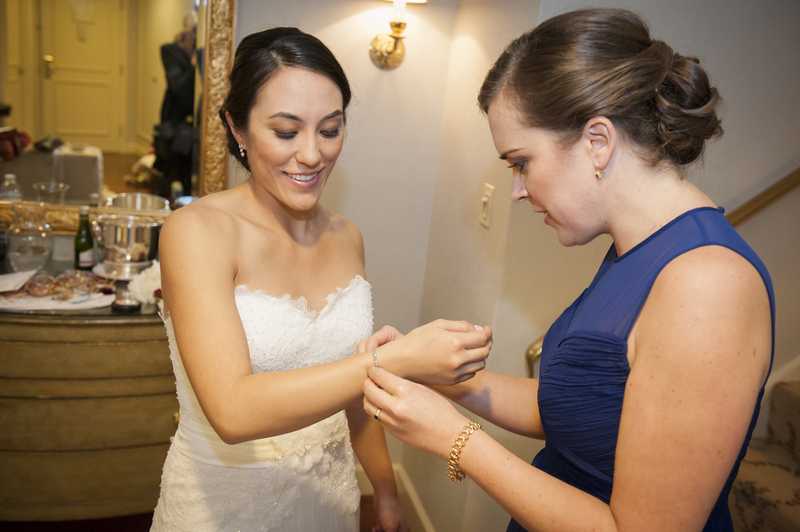 Before she left, we talked about designs and color schemes for my outfit and those for my bridal party. 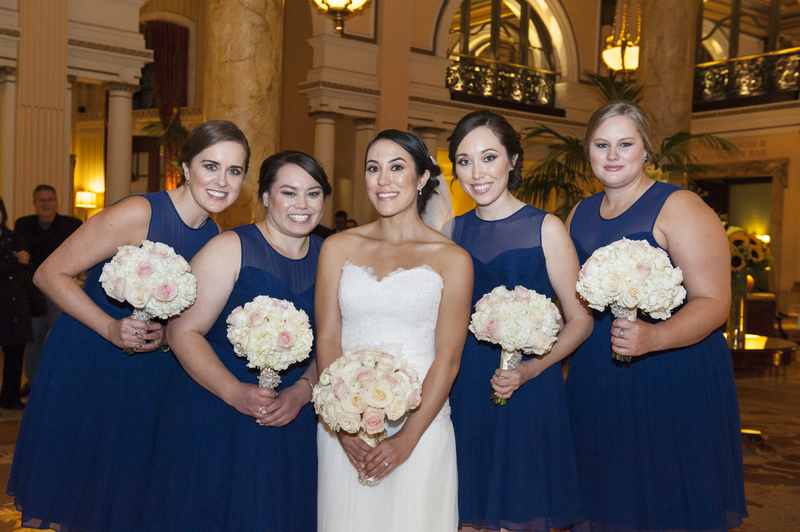 I knew that my clothes would be the traditional red, but I loved shades of blue for the bridesmaids in keeping with our overall color scheme. How about the bridal party clothes? 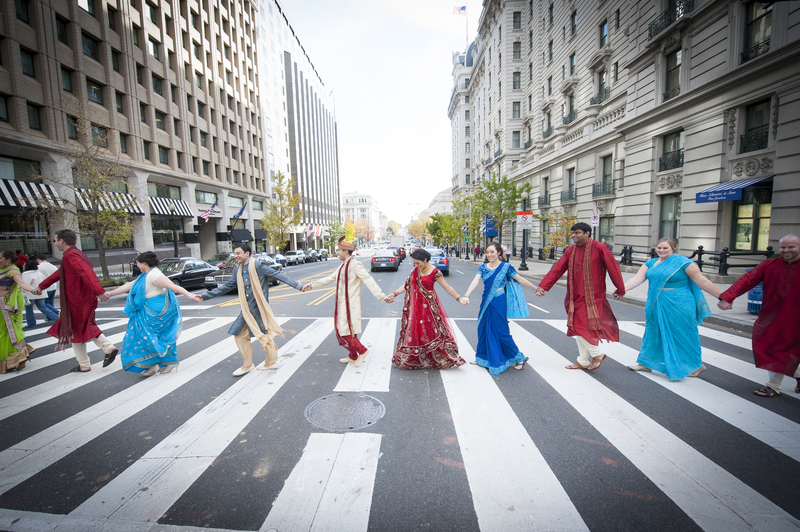 The outfits from India were salwar kameezs, and unfortunately didn’t fit the bridesmaids very well. We decided not to use them since they were difficult to alter, and weren’t great for everyone’s body types. 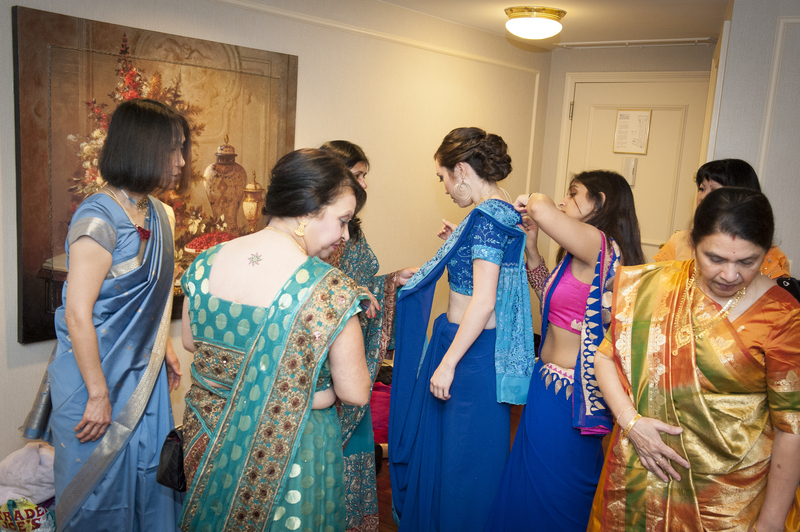 I was on the verge of panicking, but the wife of one of Milin’s groomsmen kindly lent my bridesmaids beautiful saris in a range of blues and aquas—she really saved the day! 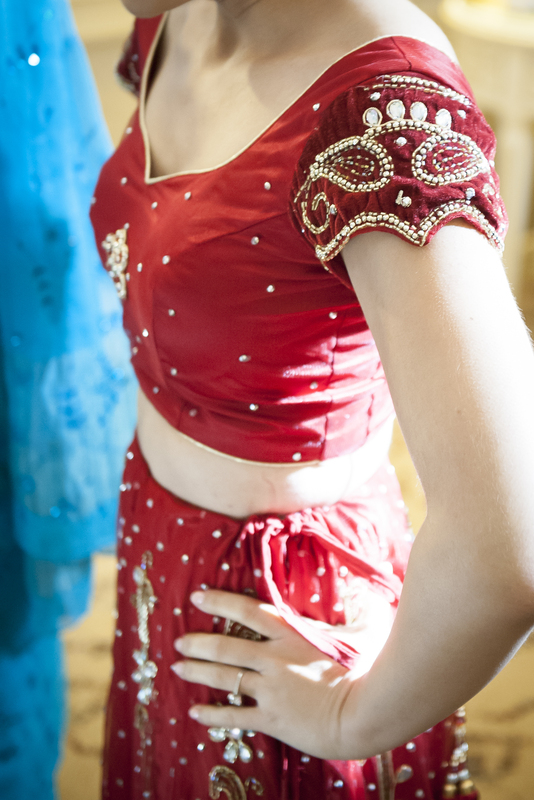 In general, I think saris are easier to handle, and extremely flattering. 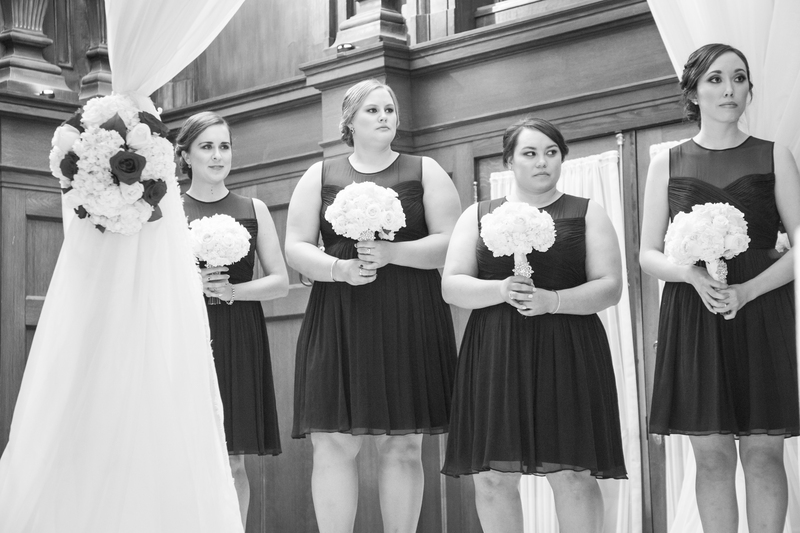 Luckily, all worked out and the bridal party looked fabulous! 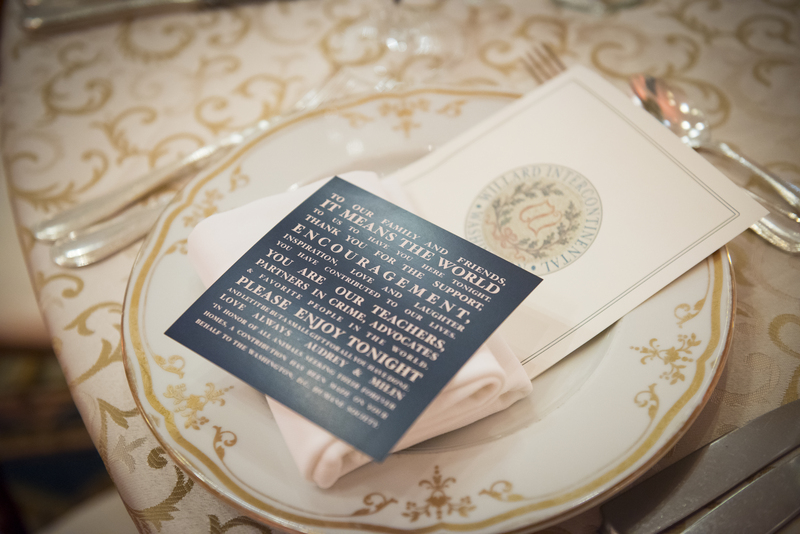 We customized our invitation suite through the Dandelion Patch. 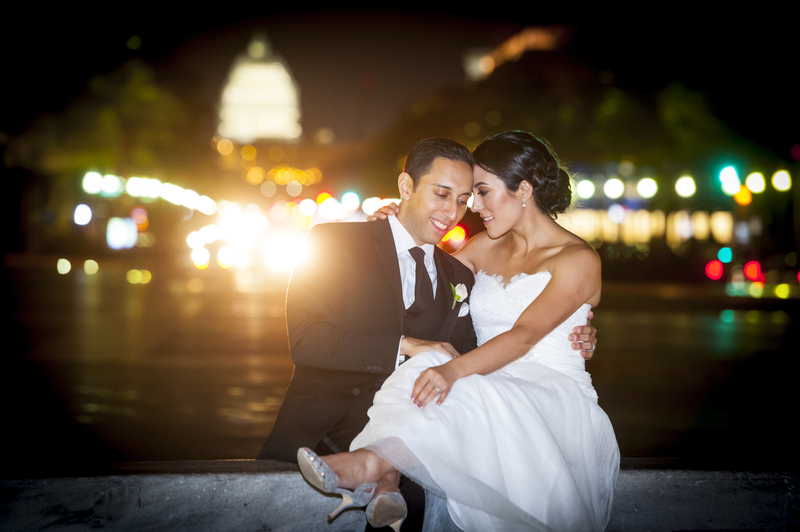 It was DC themed since we met here, got engaged here, and the Willard is a DC icon! We decided against the traditional separate invitations for Milin’s side and my side, in favor of one cohesive invitation. In the end, I absolutely loved how all of the stationary turned out. 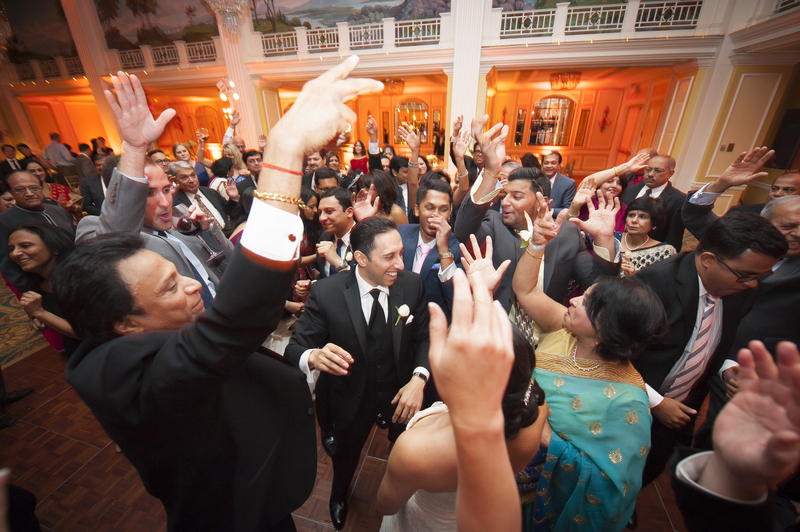 Were you already familiar with South Asian weddings? 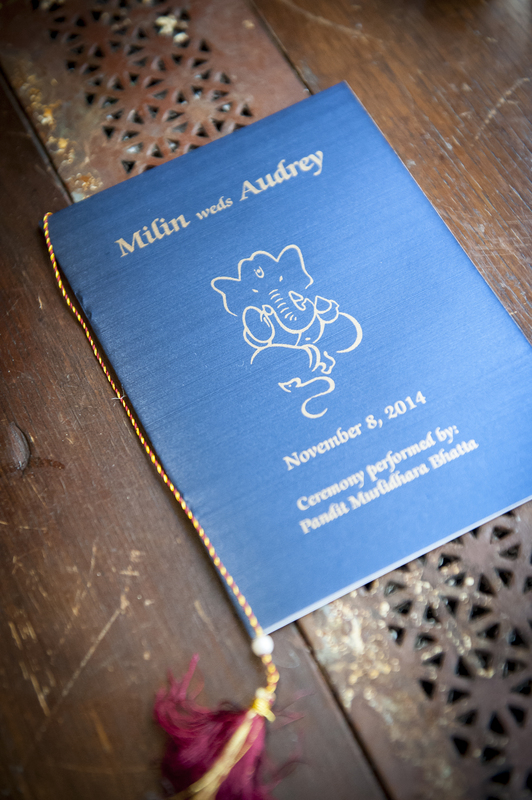 I knew a bit from hearing Milin’s mom talk about all the weddings she attended, the majority of them Indian fusion. However, I definitely took time to get educated when it came to our own wedding. 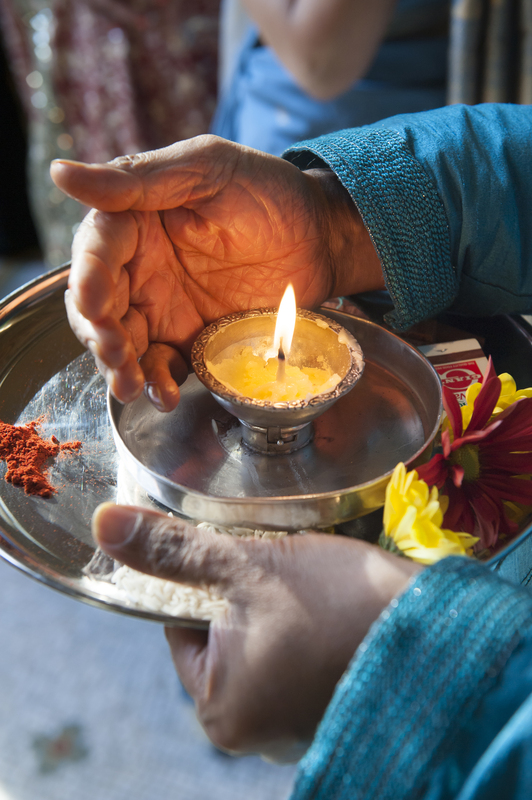 A Hindu ceremony includes so many moving parts, in addition to the length of the rituals, so I wanted to learn as much as possible to ensure everything would go smoothly – particularly because it required my family members to participate. I gathered a lot of information from websites and online forums, in addition to watching videos on YouTube. Milin’s family was also really helpful in explaining the process, and making it easier to understand. Wedding Wire was my go-to! It ended up being a very dependable source. 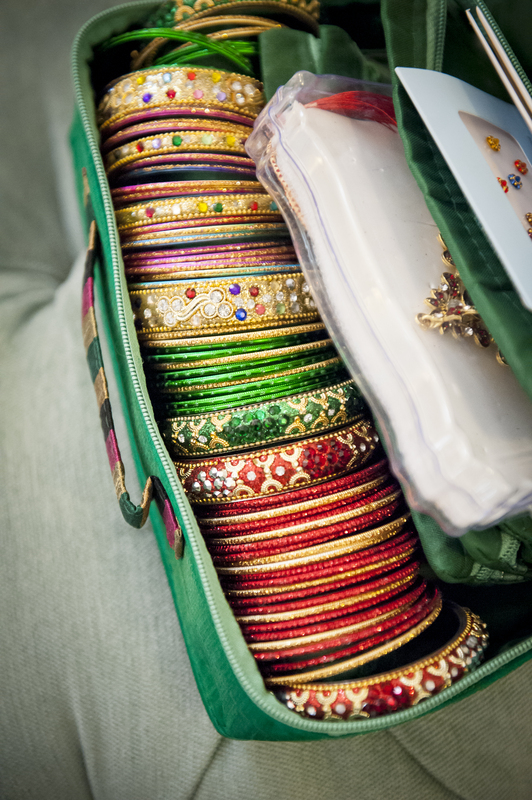 It didn’t matter to me if certain vendors had little experience with South Asian weddings, such as the makeup artist or stationary vendor. 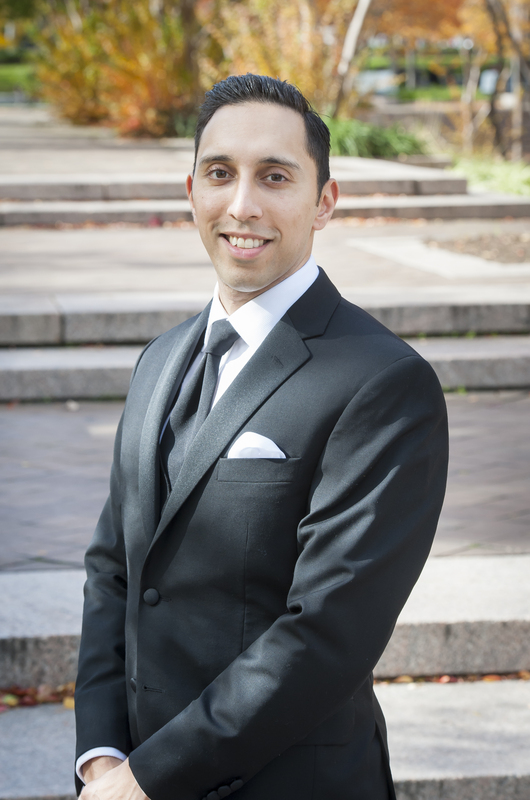 We did want a DJ with experience doing desi/fusion weddings, and that’s why we selected DJ Ateet from Planet DJ Productions. 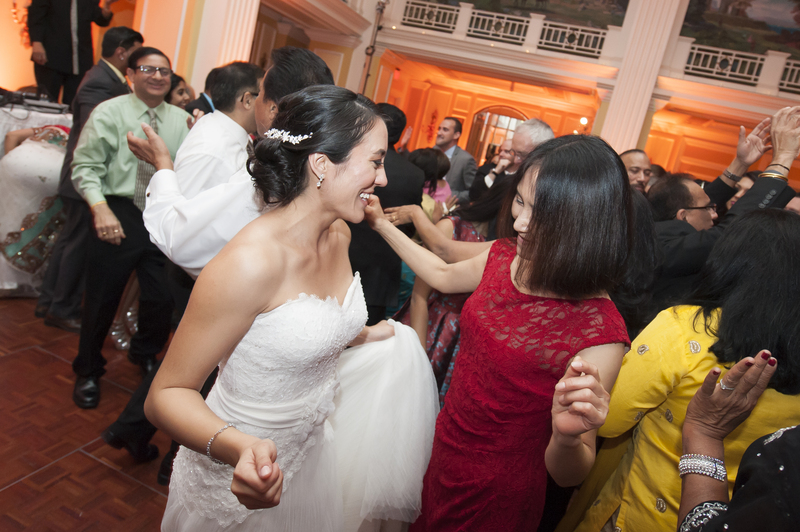 He read the crowd perfectly, and played a great mix of Western and Indian music to keep guests dancing through the night—everyone had a blast! 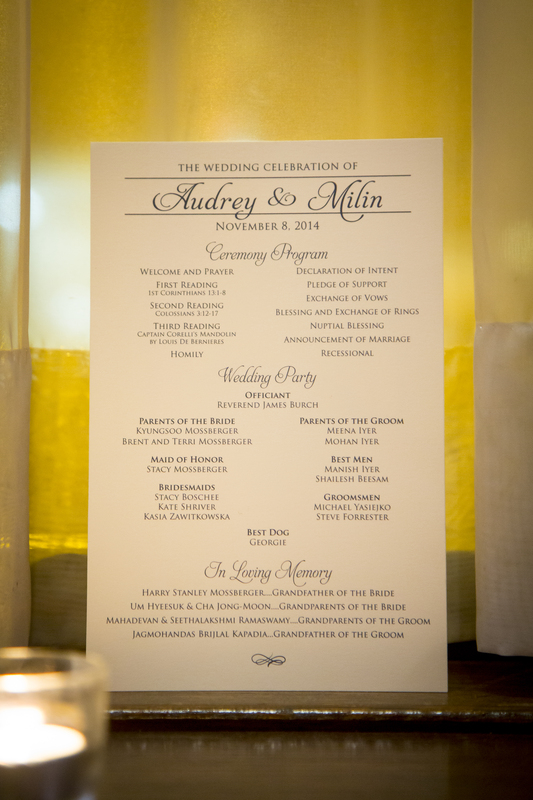 Our photographer, Kathy Blanchard, was recommended to us by one of Milin’s coworkers. 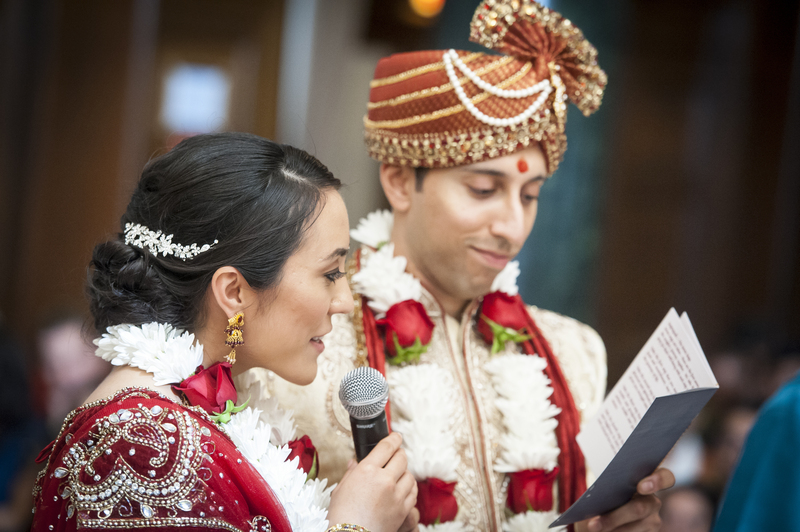 Having experience with South Asian weddings, she knew what details to really focus on during both ceremonies and throughout the entire day, as well as the special moments that we really wanted to capture on camera. She was fantastic! For the décor, we wanted a clean, elegant look that highlighted the natural beauty of the rooms. 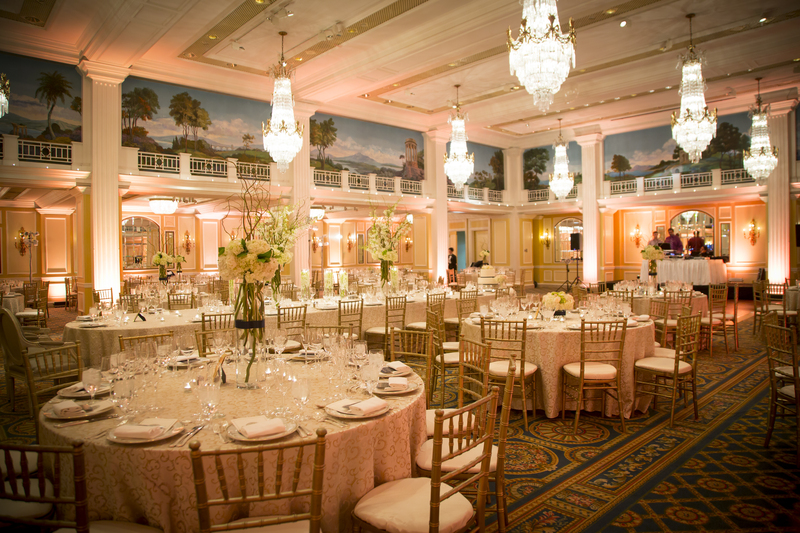 The Grand Ballroom has crystal chandeliers, and a gorgeous hand-painted landscape mural—it’s hard to improve upon! 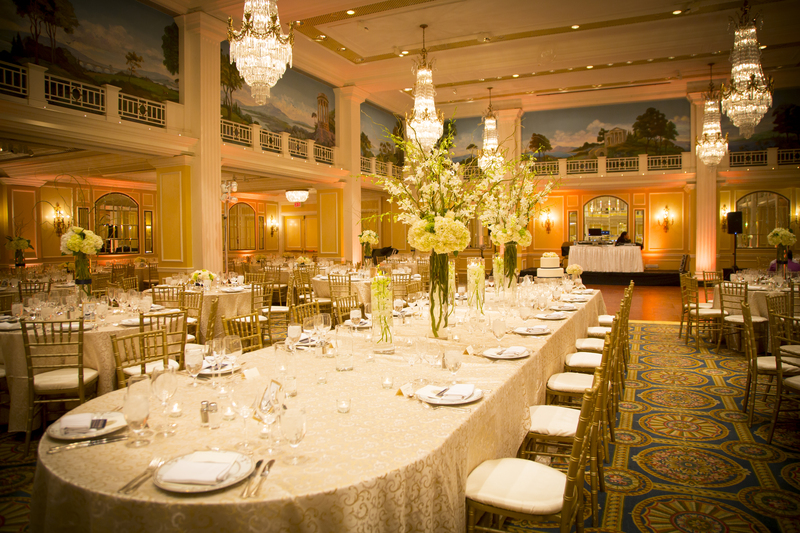 Everything from the cream colored mandap in the Willard room to the centerpieces and amber up-lighting in the Ballroom was intended to complement, not overwhelm, the space. 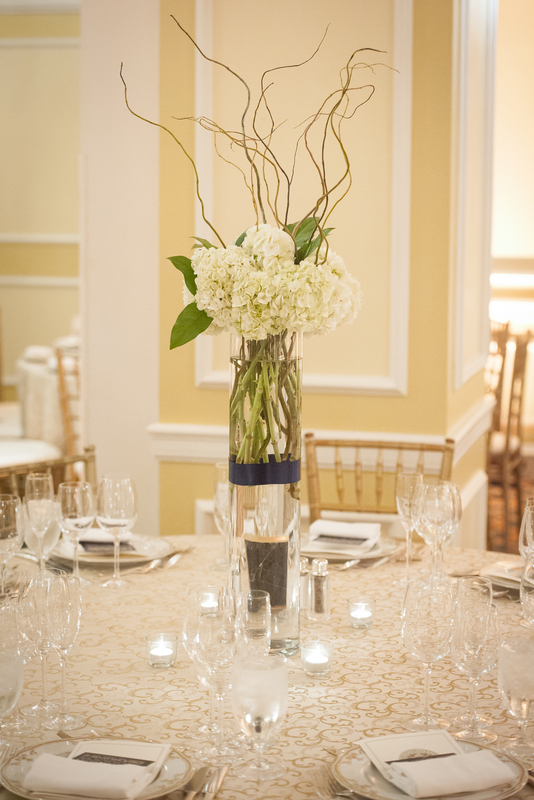 And I absolutely love hydrangeas, so they were used throughout the ceremonies and reception. Our florist was so instrumental in bringing our vision to life. It was a lot of fun getting creative and thinking up ideas for the décor and flowers— one of the fun parts of planning! 1. Create a Google Form to collect address and contact information of invitees—this saved us SO much time, and because Google takes the information and auto-populates a separate spreadsheet, we could easily refer back to it when needed–which was often. 2. 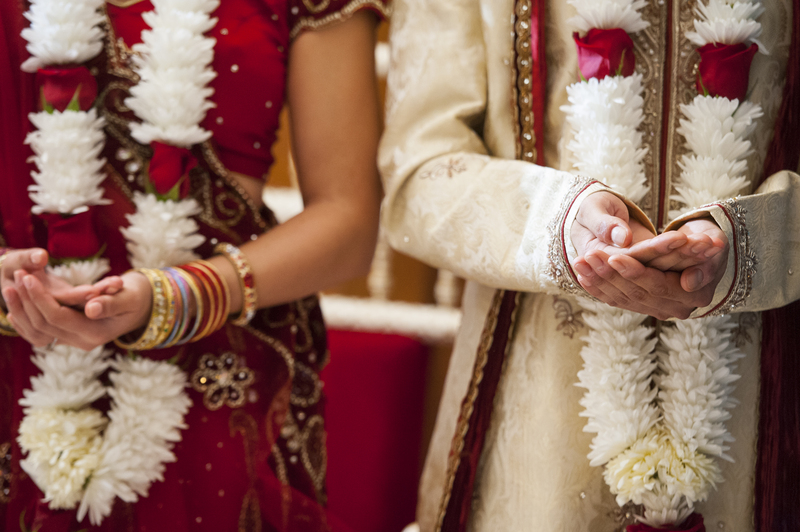 When planning a fusion wedding, things can and will get hectic. In trying to incorporate two different cultures and please both families, it’s easy to lose sight of your own vision. Everyone will have different opinions and advice, but stay true to those things that are most important to you. You may not get everything you want, but you can blend your wish-list with everyone else’s ‘must haves’ and end up with a truly unique and beautiful wedding. 3. 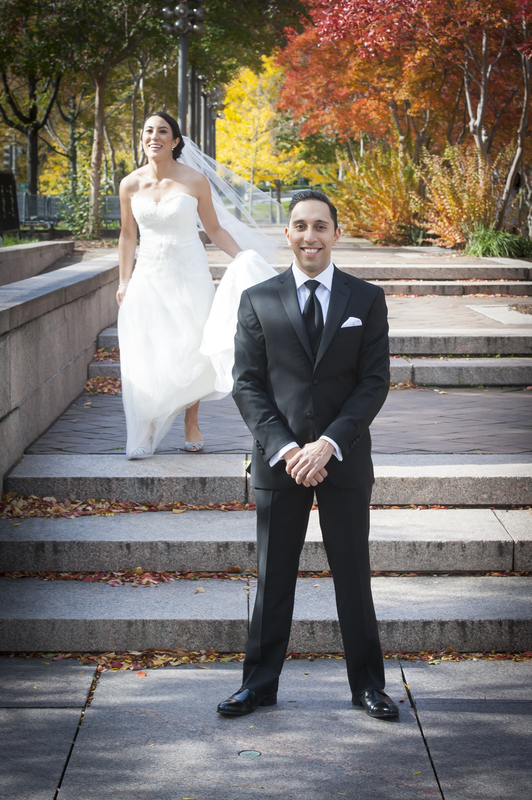 I created a staffing plan/sequence of events for family, the bridal party, and some of our vendors. It included a complete break-down of the day, which helped keep everyone on track and aware of where they needed to be at any given time. It was also helpful because our vendors were familiar with the scheduled, and could make sure my timing breakdown aligned with theirs. 4. If you’re getting married at a hotel, I highly recommend staying there the night before. 5. Track RSVPs in a Google document. You’re able to share it with others (in our case, shared with Milin’s parents as they invited a substantial number of the guests), yet maintain the editing power if so desired. Because the most updated version will always be saved/available, people can access it anytime without asking you to keep sending new versions. Another huge time-saver. 6. 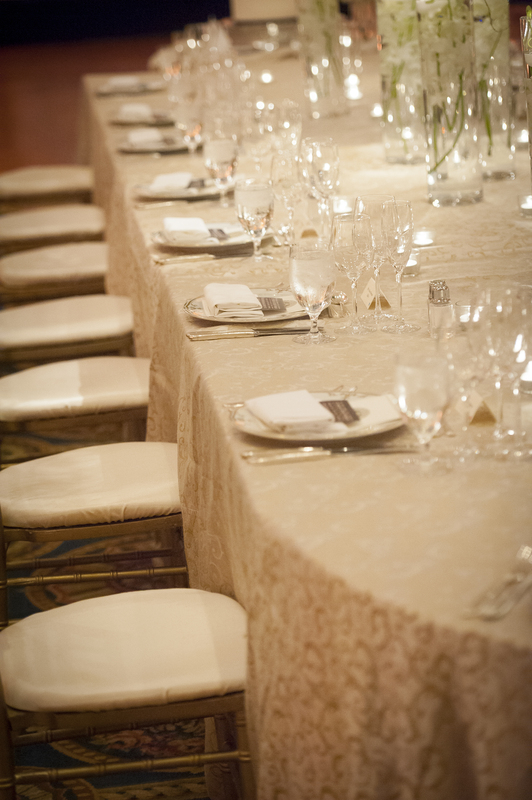 When it comes to your vendors, pictures are your best friend; particularly for florals and decor! Carve out time to scour the internet for photo inspiration of your vision–bouquets, centerpieces, mandaps, mandap seating, floral tie-backs, up-lighting…everything. Send these to your florist/decorator so that they have a clear understanding of your vision, or at least guidelines to work within. 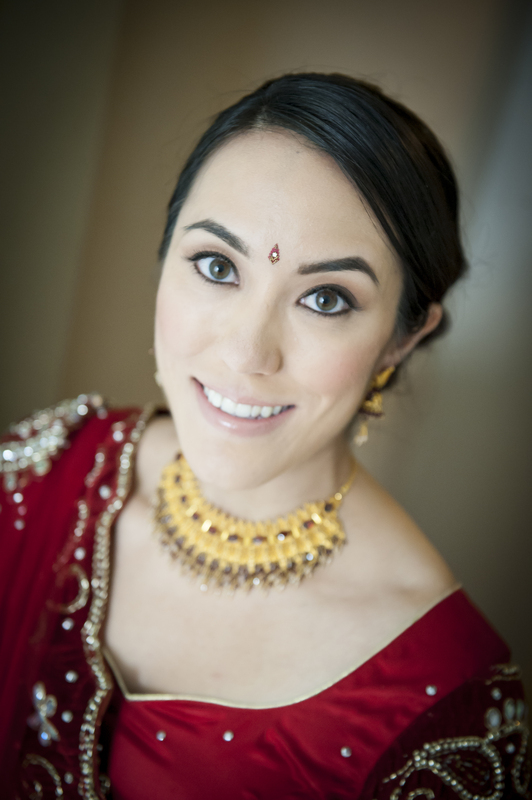 Our vendor perfectly (almost scarily) replicated the majority of photos I sent them throughout the planning process–the mandap and floral tie-backs, my bridal bouquet, the reception centerpieces, the up-lighting. You can never send too many, or be too specific! They will appreciate the guidance, even if you’re allowing them a certain amount of creative freedom! 7. Proofread everything, and ask others to help! Given the hectic, time-consuming and downright exhausting nature of wedding planning, things you would never typically overlook can be easily missed. Don’t be afraid to ask someone, who hasn’t been staring at an RSVP spreadsheet for 3 straight hours, to give the materials a once-over. 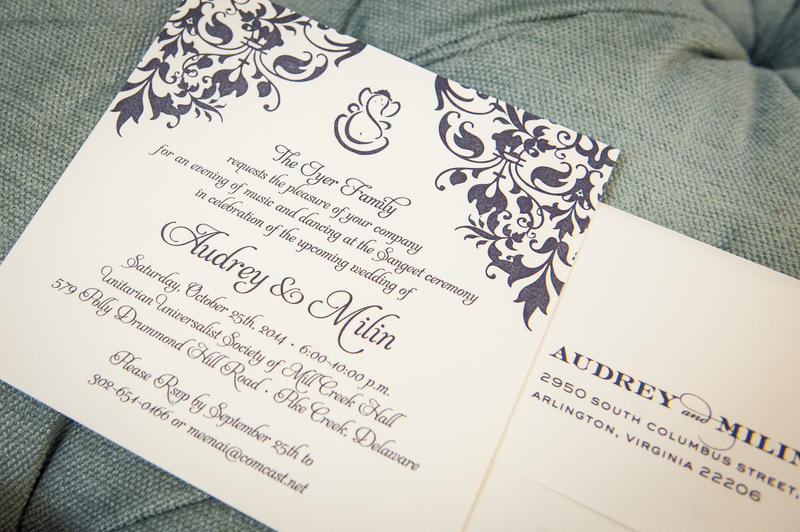 Documents like the invitation suite, wedding program(s), reception thank-you cards, menus, etc., can always use a second (sometimes third!) set of eyes to ensure names are spelled properly, correct addresses and times are listed, and that all is free of any glaring grammatical errors. 8. If opting for a professional to style hair for your bridal party, have your bridesmaids send you photos of their hair in advance, as well as a brief description (i.e. thin, layered, hard to keep a curl). I asked each of my ladies to send 3-4 pictures (2 of their own hair, and 1-2 of their desired hair style), and then compiled these into a document and sent to the stylist. This helped her anticipate what each person’s hair would require and schedule them in the lineup accordingly to maximize time; this was hugely helpful given we had a strict hair/makeup timeline to keep! 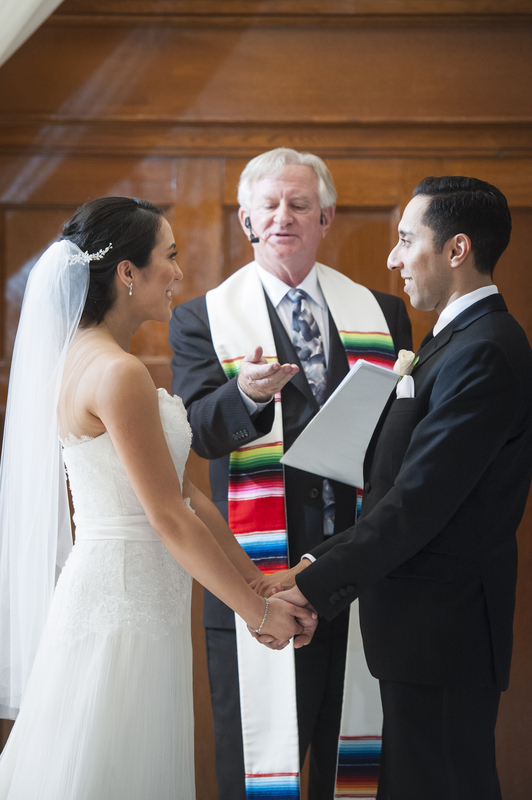 I think this is a common theme for fusion weddings where 2 ceremonies happen in the same day. 9. Have a rehearsal! This goes especially for the South Asian portion of a fusion wedding. 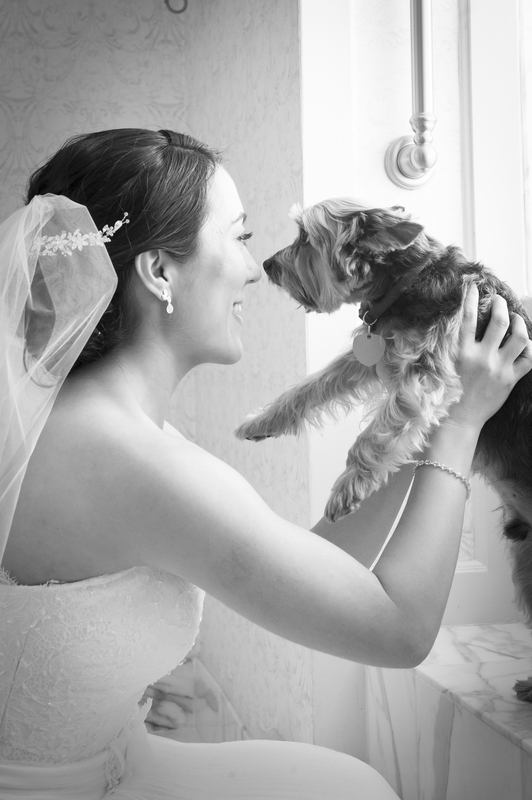 I had a few people tell me that it was unnecessary, or that my husband’s family would simply guide people on-the-spot. Milin and I insisted on it, and I’m so glad we did. It was vitally important to get the major players in position to simply walk, and in this case, talk through some of the motions of the ceremony. 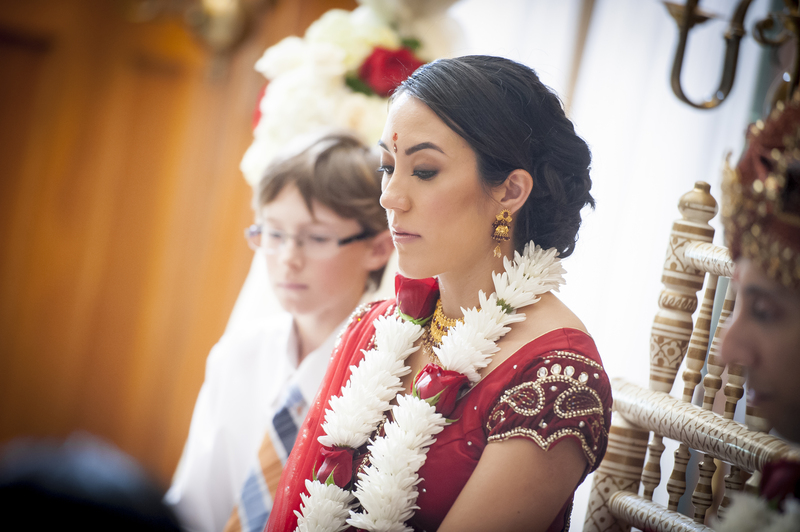 It’s more involved than a traditional Christian wedding, and for all of my family and bridal party members, it was their first experience with a Hindu ceremony. The rehearsal made everyone familiar and comfortable with their roles, and allowed people to ask questions and receive clarification ahead of time. 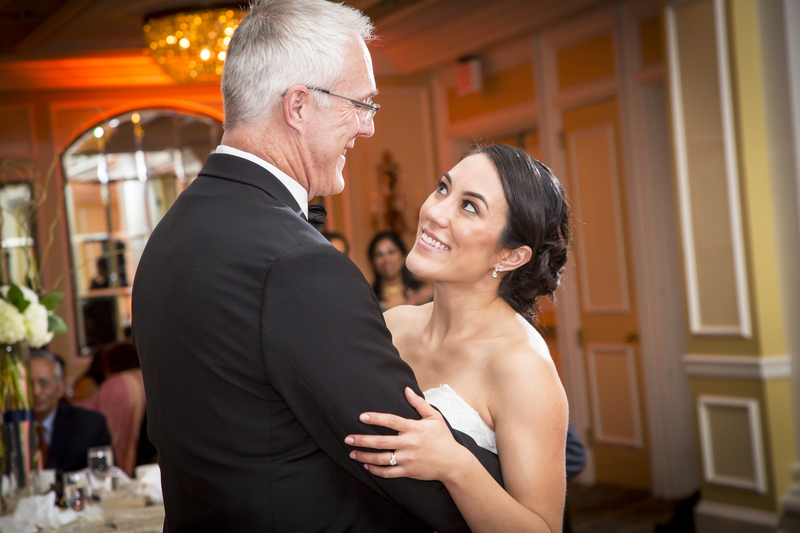 Looking back on our wedding day, things happened so quickly that I can’t imagine the stress of someone having to learn what to do on the spot! Rehearsing really put our minds at ease, and while it’s certainly no guarantee that everything will run perfectly, it does put the odds in your favor. 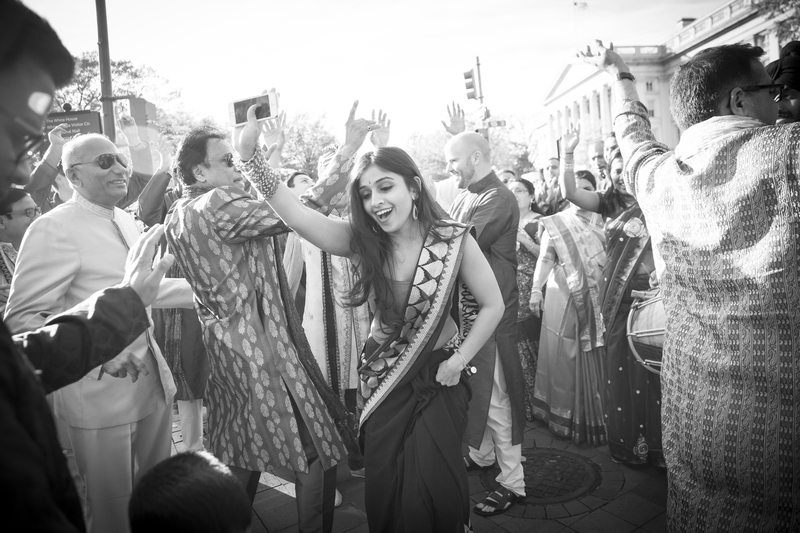 Next Next post: Check out ShaadiShop Founder, Samta and her Husband’s Sangeet Performance!